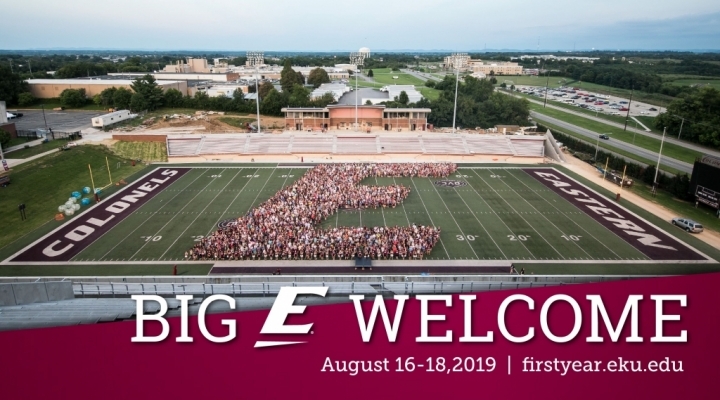 The Big E Welcome will allow you to build friendships and connections with other first-year students, equip yourself with skills to excel in the classroom, and truly welcome you into the EKU experience! Your Colonel Crew Leader (a current EKU student) will lead you through the festivities and share the week with you. Big E Welcome will be held August 16-18, 2019. EXCHANGE dialogue, ideas and perspectives with faculty, staff and peers to connect with the greater EKU community. The Big E Welcome has no fee and is mandatory for all first-year Colonels. Transfer students with less than 30 hours are expected to attend.